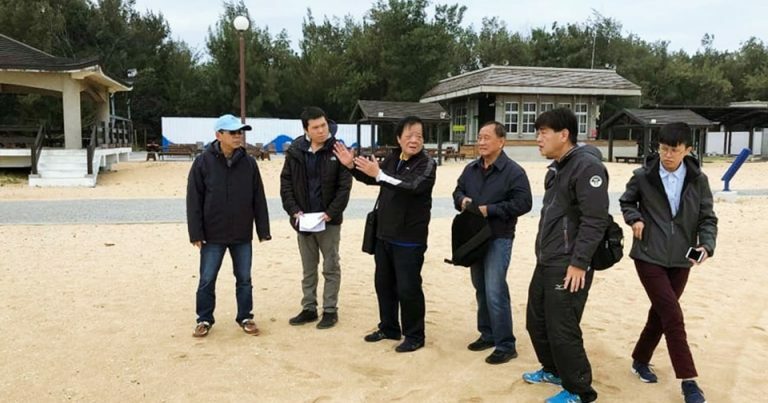 Penghu County, Chinese Taipei, January 25, 2019 – AVC Secretary-General Mr Shanrit Wongprasert expressed his satisfaction over the competition venue inspection to Penghu County, where the 2019 Asian Beach Volleyball Tour Penghu Open will be held later this year. One of the most important things to ensure the event success is to conduct a site inspection and Mr Shanrit’s inspection from January 19 to 21 to the competition site was worth a visit. Composed of around 90 small islands, Penghu County is undoubtedly a tourist attraction in summer when domestic tourists and international visitors come to enjoy beach activities and the fantastic view of blue ocean. 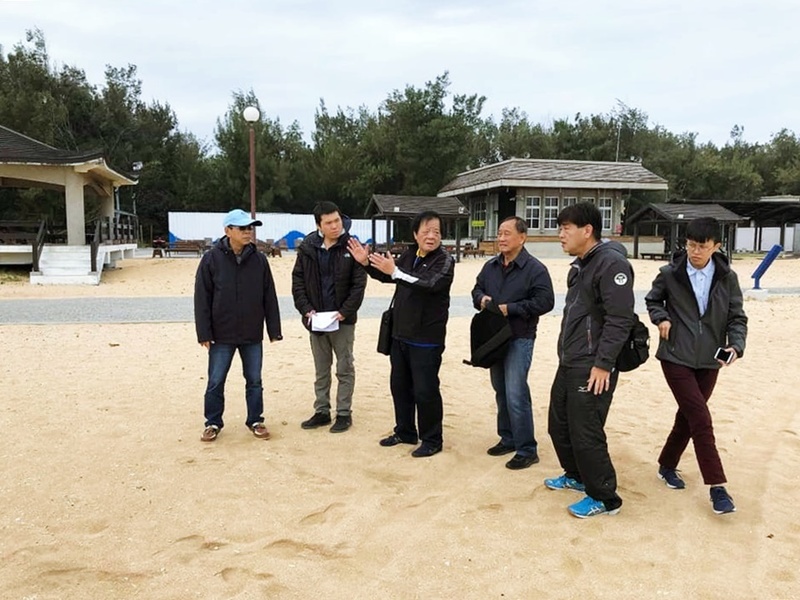 Located on the largest island, the Aimen Beach in Magong City will serve as the competition venue for the 2019 Asian Beach Volleyball Tour Penghu Open from August 7 to 11. The beach is composed of beautiful white sand, fragments of corals and shells. More importantly, the area is large enough to set up required standards for competition courts and warm-up courts. “It’s one of the satisfying sites to serve as the competition venue for the Asian Beach Volleyball Tour. Everything is quite okay in terms of conditions of the competition site, the surrounding areas and the weather. It becomes clear that the Aimen Beach is simply well-suited for a competition venue for the beach volleyball competition,” said Mr Shanrit, himself FIVB Board of Administration Member and Zonal Executive Vice President, South East Asian Zone. 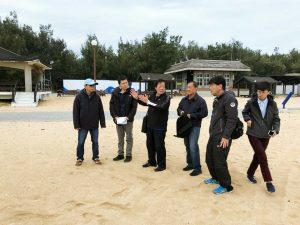 To increasingly promote its beach advantage, the Penghu Volleyball Association has been organising National Beach Volleyball Championships every year, attracting a lot of players and teams to join the fray. With the great experience in organising beach volleyball competitions, this will mark the very first time for Penghu County to host an international event in the Asian Beach Volleyball Tour Penghu Open. During the inspection joint meeting, attendants exchanged their ideas and important information to make sure everything will be on the right track ahead of the competition in August. Mr Shanrit chaired the inspection joint meeting, with several key persons in attendance. They included Mr Chang Chin-Jong, Director of Chinese Taipei Volleyball Association, Ms Chen Yu-Lin, International Affairs of Chinese Taipei Volleyball Association, Ms Liu Mei-Fan, Deputy Director of Tourism Department, Penghu County Government, Mr Chen Chi-Lung, Chairman of Penghu County Volleyball Association, and Mr Hu Yi-Chung, Secretary-General of Penghu County Volleyball Association. Mr Shanrit had also inspected Pescadores Hotel, which has been hosen to be the official hotel during the competition. With up to 100 rooms available, Pescadores Hotel is set to accommodate participating teams, referees and AVC delegates. Travelling to the hotel is very comfortable as it is a 10-minute drive from Magong Airport to Pescadores Hotel, and it takes approximately 13 minutes to the beach from the hotel. Mr Shanrit’s final-day inspection on January 22 also covered National Taipei University of Education, which will serve as the second hall for the 2019 Asian Men’s Club Volleyball Championship in coming April. 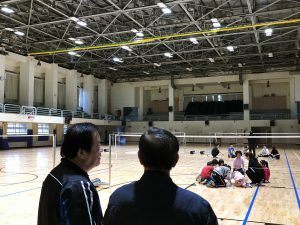 University of Taipei (Tianmu Campus) remains the main competition hall for the April 18-26 Championship as it had already hosted several major competitions including the 2015 Asian Men’s Club Championship and the 2018 AVC Cup for Men. However, since 14 teams have already confirmed their participation in the 9-day meet, the second hall is necessarily required. “The second hall at National Taipei University of Education is in good condition. The idea to use this hall as the second competition site for the Asian Men’s Club Championship is acceptable. However, to ensure that this hall is well suited for the competition, working rooms and players’ rooms still need more improvement,” said Mr Shanrit.